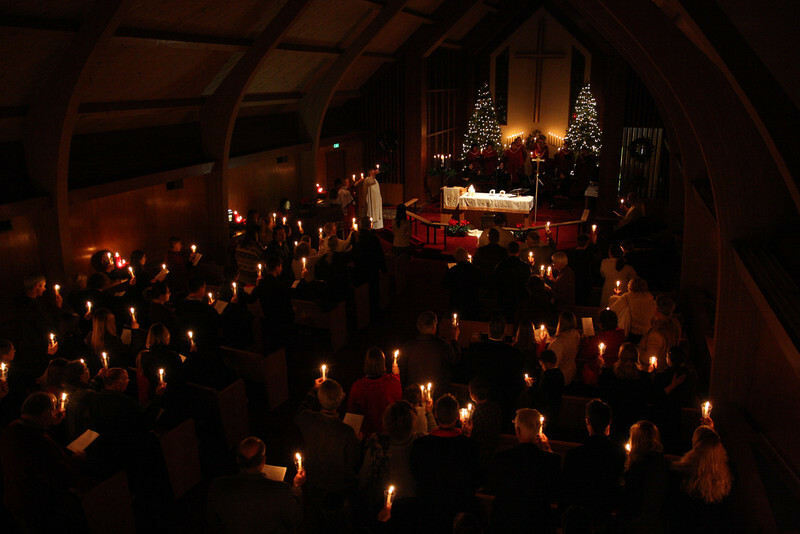 The peace and joy of the Christmas celebration reverberates through the days of Christmas as the community gathers again to hear the remainder of Luke’s narrative of the birth of Jesus. 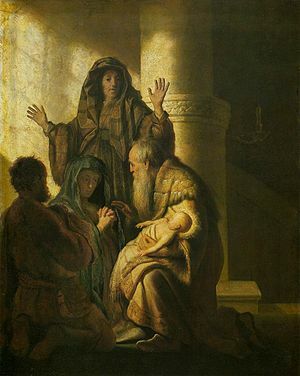 Mary and Joseph, faithful Israelites, bring the child to the temple to conduct the appropriate rites. There Simeon and Anna, pious elders who are waiting for the redemption of Israel, recognize God’s promise fulfilled in this child of Bethlehem. Amidst the joy, the shadow of this child’s fate can be seen: “This child is destined for the falling and the rising of many in Israel, and to be a sign that will be opposed so that the inner thoughts of many will be revealed – and a sword will pierce your own soul too.” A revolution is underway. When God draws near to save, to heal, to restore the world, change comes. Injustices must be set right. The mighty will fall. And they don’t fall without a fight. But for now, there is joy. And Anna speaks about the child to all who are “looking for the redemption of Jerusalem,” looking for Jerusalem to become the city of peace and font of blessing for all nations. “How beautiful upon the mountains are the feet of the messenger who announces peace.” – like a runner coming from the battlefield with news of victory, the prophet heralds God’s dawning salvation. 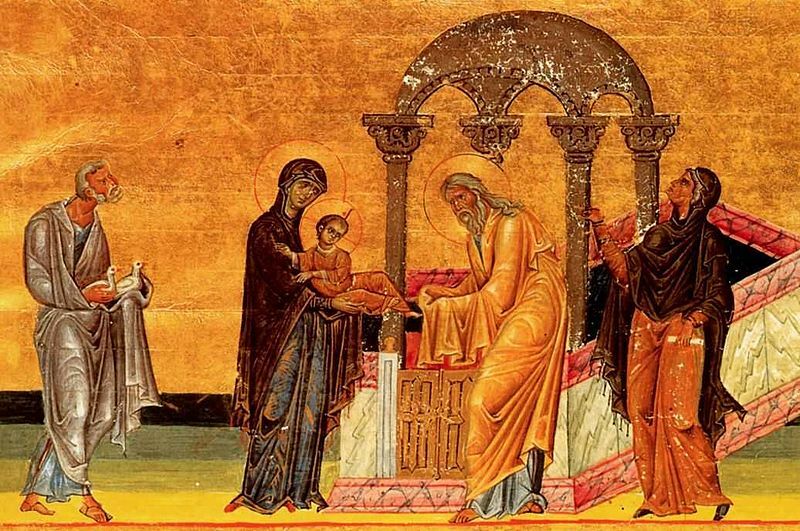 “When the fullness of time had come, God sent his Son, born of a woman, born under the law, 5in order to redeem those who were under the law.” – a summary of the proclamation of the early Christian community. 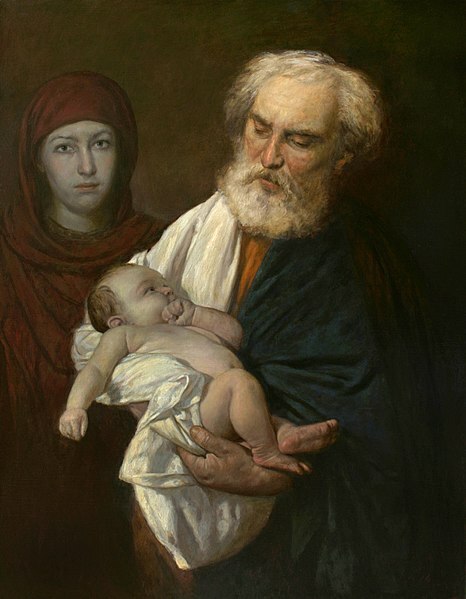 “Master, now you are dismissing your servant in peace, according to your word; for my eyes have seen your salvation, which you have prepared in the presence of all peoples, a light for revelation to the Gentiles and for glory to your people Israel.” – Simeon and Anna, representatives of faithful Israel, recognize the infant Jesus as the fulfillment of God’s promises.